1. Sleeves! 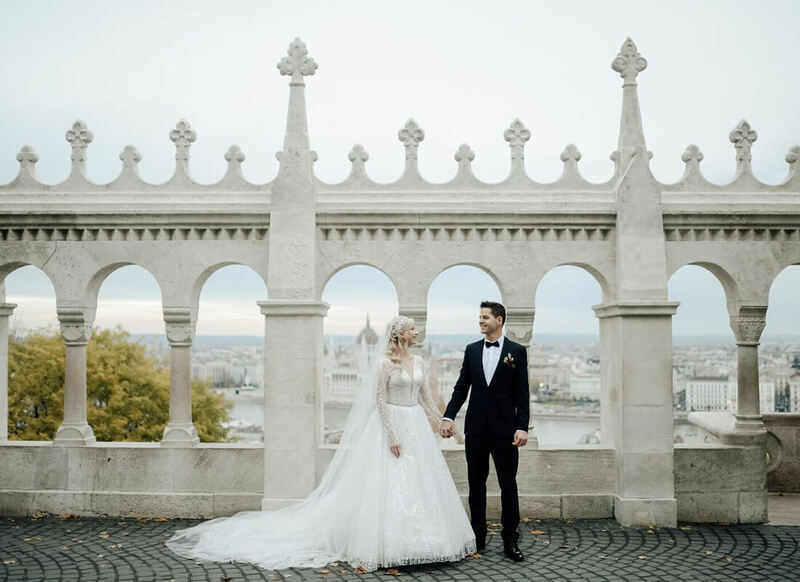 Whether it is full length, ¾ length, regular or illusion, sleeves are a wonderful detail to have on your winter wedding gown. My personal suggestion would be for illusion sleeves with a bit of lace embroidery on them. It makes the detailing on the sleeves stand out while still giving you a very modern wedding day look. 2. Beaded lace and/or bling! The shimmer on the gowns against the sparkling white snow is an absolute showstopper. It’s like the season’s glistening icicles are mirrored in the bling or beading on your stunning white gown. Can you say match made in heaven? 3. Satin! Satin is a heavier material that not only will give you some added warmth while out in the cold, but it also shines very nicely against the snow. 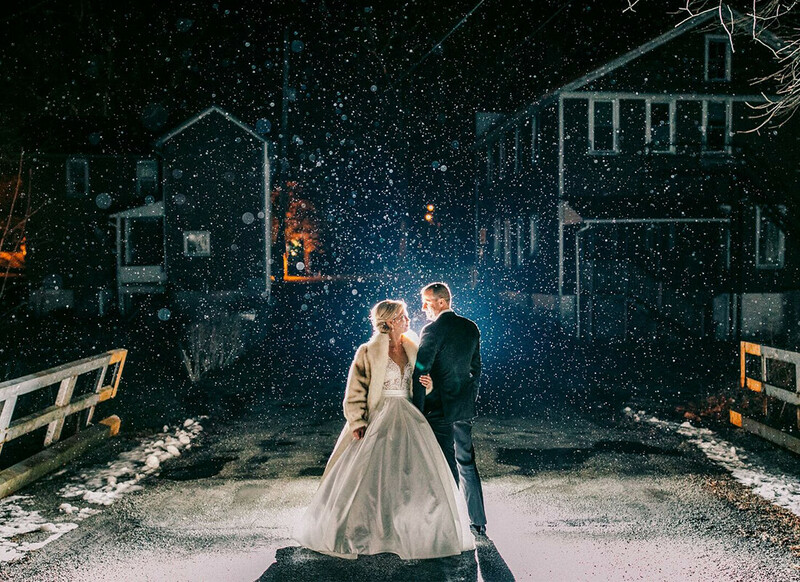 It has a glow to it that other materials simply do not and will look great in those winter wonderland wedding photos. 4. Long trains! A dramatic flourish is never a bad thing, but there is something special about seeing a cathedral length train draped along the snow. It truly takes your look to the next level! 5. Accessorize! This doesn't have so much to do with the gown but more so how you complete your wedding day look. 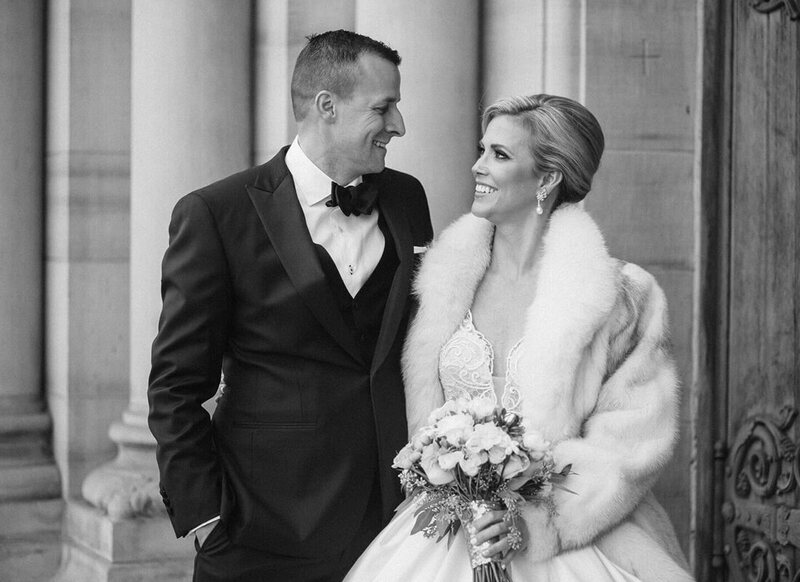 A luxurious faux fur shawl or coat helps keep you warm and gives your gown an air of elegance. 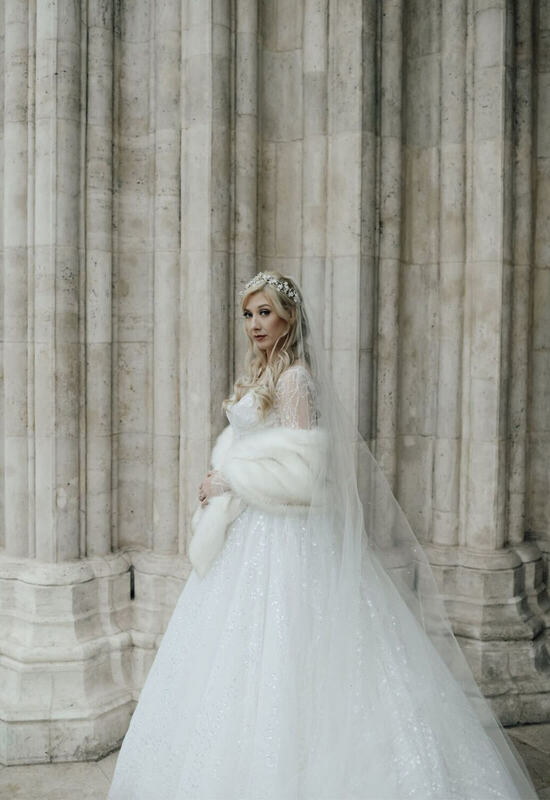 For a truly ethereal look, add a cathedral length veil as well. It will look magical blowing in the wind and makes for enchanting in wedding photos. 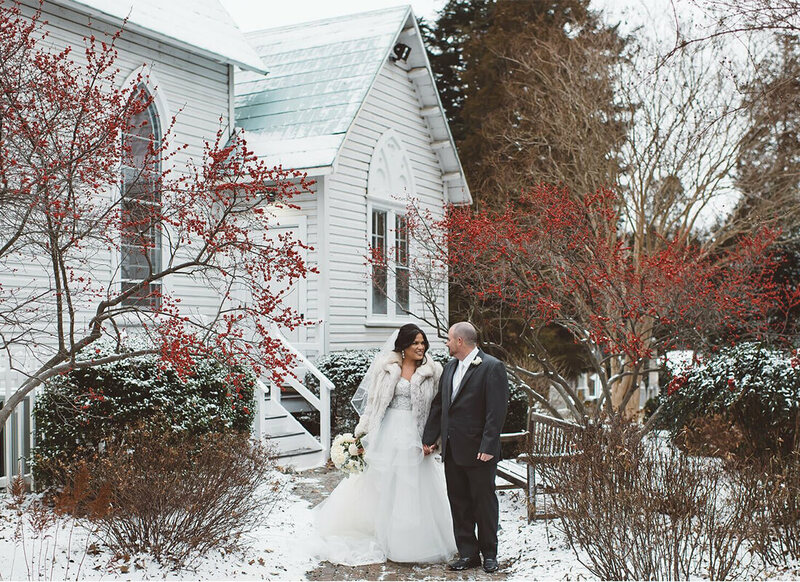 I know it seems like I chose a lot of these elements because of how they look against the snow (fingers crossed there is some) but all of these things are still wonderful for winter weddings even if yours is sans snow! 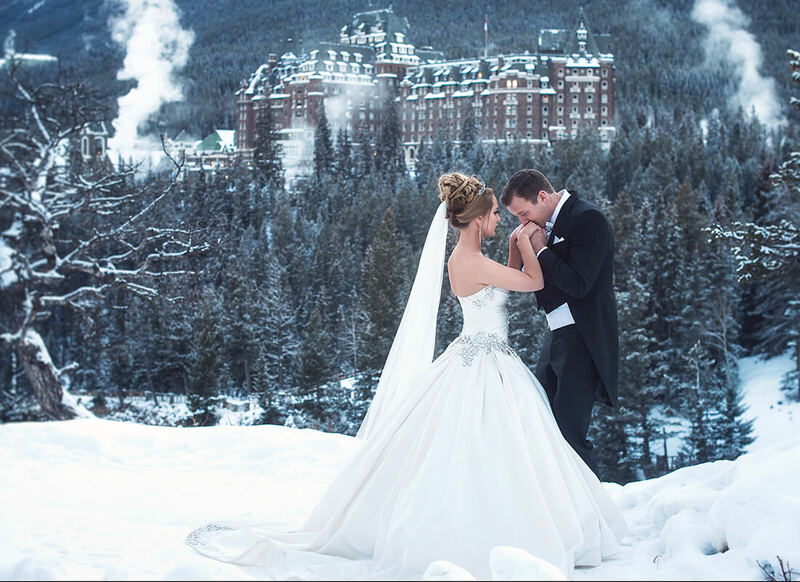 They all evoke the winter spirit and as long as you love the gown you are in, that is all that matters in the end. 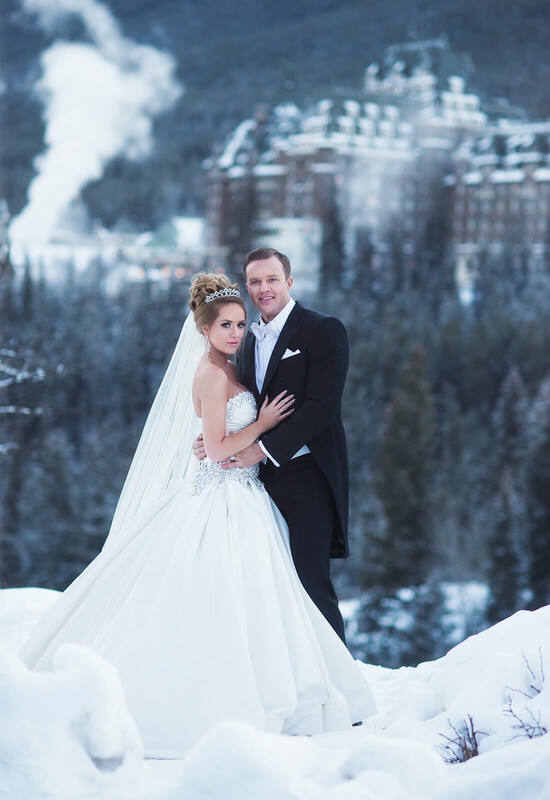 Good luck to my brides on your winter gown search and make sure to send me all of the wonderful pictures afterwards!